Sean Williams is the award-winning, #1 New York Times-bestselling author of over thirty-five novels, eighty short stories, and the odd odd poem. He writes science fiction, fantasy and horror for adults, young adults and children, and enjoys the occasional franchise, too, such as Star Wars and Doctor Who. His latest book is Troubletwisters: The Monster, co-written with Garth Nix. Your collaboration with Garth Nix, the “Troubletwisters” series, has been receiving excellent reviews and it isn’t the first time you have worked with another author. Do you find it is something that comes naturally to you, or was there a period of adjustment? Are there any keys to a successful collaboration that you could share? A good collaborator will get you over the hump, revitalize your dead ideas, catch your blind spots, keep the project alive when it is dead to you, and creatively stimulate, challenge and surprise you. To work productively and happily, the members of a collaborative team must all trust each, respect each other, communicate with each other, have similar aspirations to each other, and be able to rely on each other absolutely. They must each bring something unique to the project, and they must also be prepared to give something up in the process of bringing it to fruition. A good collaboration never reads like any one of the people involved; it’s a Frankenstein’s monster of many parts that lives and breathes in its own right. That said, however, it’s important for one person to have the final say, and that everyone involved knows who this is before setting pen to paper. Make an agreement that all parties will sign. Stick to it. And have fun! At the time of the last Aussie Snapshot you were embarking on your role as the Overseas Regional Director for the SFWA. How well do you think that international authors, particularly Australian ones, are represented by the SFWA? Are there any initiatives you are particularly proud of during your time in that role? Well, you’ve touched on something I feel a little remorseful about , as I haven’t done nearly as much as I’d hoped with SFWA. Partly because of time constraints at my end, mostly because this has been a time for SFWA to get its house into order. I’m hopeful that in the year remaining of my term we’ll get something rolling or, if not even then, that the person who follows me will find it easier. I think international writers need a stronger presence in SFWA, and that SFWA could improve its servicing of OS authors on many fronts, so there’s definitely work to be done. 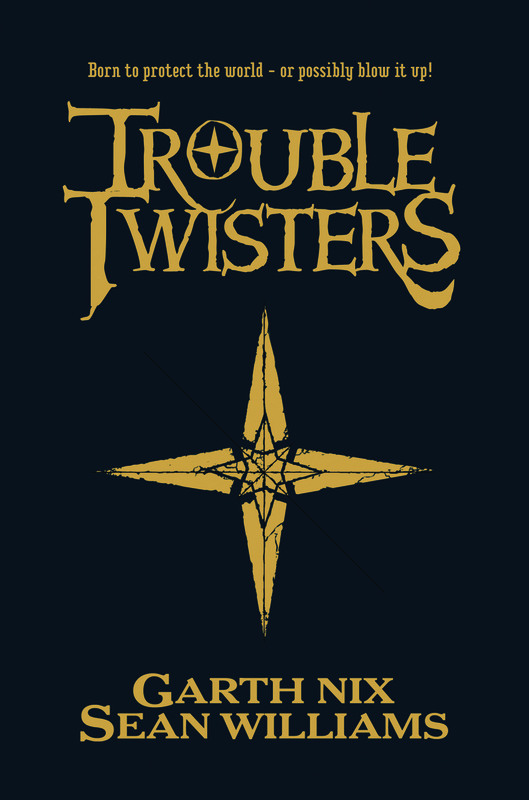 There are more “Trouble Twisters” on the way, but are there any other worlds you have written in that you would like to return to in the future? I have sold a YA series that taps into a long-standing SFnal interest of mine (can’t say anything more about that at the moment, sorry), and there are a few other projects in the works. One is the TV series of my novel The Crooked Letter, which is at pilot-script stage. If that goes into production, I’ll be busy for a while to come, hopefully. And then there’s Star Wars, which I hope to return to soon. I have lots of irons in lots of fires. I’m limited only by the hours in the day. I’m embarrassed to admit that I haven’t read much Australian work lately–but then I haven’t read much recent fiction at all, in any genre. I’ve been researching my PhD, which has meant digging into a lot of old science fiction novels. Fun, but I’m looking forward to it being over and done with this year so I can get back to reading for pleasure. This entry was posted in Writing and tagged 2012snapshot, interviews, Sean Williams on June 2, 2012 by David. Excellent news on The Crooked Letter. International production?